Your use of the digitalstorm.com web site (the “Site”) and our services, including phone orders, all purchases, and inquiries, from Digital Storm is governed by the policies, terms, and conditions set forth below. Please read the following information carefully. By using this site or submitting an order for products or services, you indicate your acceptance of, and agreement to be bound by, the terms and conditions set forth below personally or as an agent for any business entity you represent. The term “Customer” means you or the business entity you are ordering goods or services for. If you do not agree to these terms and conditions, please do not use this site and please do not submit any orders for products or services. The terms and conditions posted on this website, including the warranty policy, are public information and must be adhered to by anyone doing business with Digital Storm unless there is a written contract signed by an officer of Digital Storm. Customer agrees that Digital Storm is not liable for mismatched product pictures or mistakes in product information. Digital Storm reserves the right to change products and specifications and those listed on the Site may not be current. Customer agrees to verify the specifications of each product with the order. Digital Storm is only responsible for products named on the invoice. Our sales representatives are not authorized to make any representations or promises related to any product or services that exceed these terms and conditions and the warranty. Any additional provisions to your purchase must be made in writing signed by an officer of Digital Storm. Customer agrees that each item in a multi-item purchase from Digital Storm shall be treated independently unless stated otherwise in the memo section of their order. That is, defect, replacement, and cancellation of one item does not constitute the voiding of the entire purchase. Each item shall be considered independently for warranty or refund purposes unless the customer has stated otherwise in the invoice memo. Customer agrees that shipping costs and expenses will not be refunded once we ship. It is the Customer's responsibility to look over their email confirmation and make sure all shipping, billing and item purchased are correct. If you do not get an email confirmation, call us to see if the order went through. Do not submit multiple orders or you will end up paying full restocking and shipping fees. Order cancellation will be accepted by phone with a sales representative or over the web (only before the order is processed). It cannot be done over email or by leaving voice mails. You can confirm order cancellation by checking the order status online. Cancellation on orders already charged carries a 4.9% credit card processing cancellation fee. If an order has already been built in our facility (entered Stage 4) but has not been shipped, there will be an additional 15% restocking fee which covers expenses for taking the system apart and re-stocking the hardware. Material fee for boxes, transportation, etc. are included in the shipping fee. Customer shall not be liable for additional shipping charges for purchases Digital Storm chooses to ship in multiple packages unless they request and agree to shipping upgrades and upgrade fees. Digital Storm does include shipping insurance with every FedEx and UPS shipment. Customer agrees that Digital Storm will not liable for shipper's shipping delays. Financing interest fees paid by a customer are unable to be refunded or credited back by Digital Storm for any reason. Protecting your information is a priority for us. We use 128-bit encryption Secure Sockets Layer (SSL) technology to protect the security of your online order information. When you are about to enter your credit card information, look at the bottom right corner of the browser window for a icon of a gold lock. Also you can look at your address bar and see if it starts with “https://”. Some versions of browsers and some firewalls don't permit connection through secure servers. In that case, you won't be able to connect to the server and therefore won't be able to place an order through an insecure connection. If you cannot access the secure server for any reason, Please contact us to place an order, 1-866-81-STORM. All trademarks and registered trademarks displayed on the site are the trademarks of their respective owners, and are not intended to imply any endorsement or affiliation between Digital Storm and these companies. If you wish to purchase products offered on the site, you will be asked to supply certain information, including but not limited to credit card or other payment information. You agree that all information you provide to Digital Storm will be accurate complete and current. You agree to pay all charges incurred by authorized users of your account and credit card or other payment mechanism at the prices in effect when such charges are incurred. You will also be responsible for paying any applicable taxes, and shipping and handling charges relating to your purchases. We ship to any physical address that the shipper/courier can ship to domestically or internationally. We may accommodate (“Customer”) who need to have an item shipped to an APO/FPO address or PO Box depending on the circumstances. Due to the number of wrong addresses from customers, we now charge the face value that the shipper/courier charges us to reroute your package if you did not enter the address correctly. This charge is anywhere from $5-$25 and you agree if your address is wrong, Digital Storm is authorized to charge your credit card for these fees. Orders received before 3:00 PM PST are usually processed the same day for product build. Products are shipped only after build which can take up to 15 days on a standard basis. Your order may be delayed if your ship to address does not match what your credit card issuer has on their file. Some orders that are shipped from fulfillment warehouses may require longer for the item to ship. We may also ship the orders with multiple items from different warehouses so it is possible you get the items on different days. Due to the many circumstances such as unable to charge your card or verify your address, we cannot guarantee when your order is shipped out. Also if you choose next day air service, it does not necessarily mean you will get it the next day from the order date, it means that you will get it the next day from the date we ship the order. Digital Storm reserves the right at any time after receipt of your order to delay your order for any reason. Once an order is shipped, it is up to the shipper courier to deliver the products; we will not be able to stop the shipment once it is shipped. If the shipper/courier loses the package, the shipper courier will put a tracer on the package. Tracers take around 3 days for air packages and 7 business days for ground packages. We will not be able to ship out replacement packages until the shipper courier confirms that the package is lost/will not be delivered to its destination and they will reimburse us. Without confirmation from the shipper courier, we will not know for sure if you will get two shipments if we ship out another one. Another delay is if there is no one to sign for the package, every package we ship usually requires a signature, if a package is returned to us because no one was available to sign for it or the address was input incorrectly at the time you enter the order, you will be charged again to ship it out a second time. Due to the fast pace of the computer industry, all prices are subject to change without notice. We make every effort to list the most accurate, up to the minute information. Despite our efforts, some items on our website may be miss-priced. If a product is listed at an incorrect price due to a typographical, photographical, or technical error or error in pricing from our vendors, Digital Storm reserves the right to refuse or cancel any orders placed for a product listed at the incorrect price. If your credit card has already been charged for the incorrect price, we will immediately refund your card and cancel your order. You may also repurchase it for the correct price if you wish to. 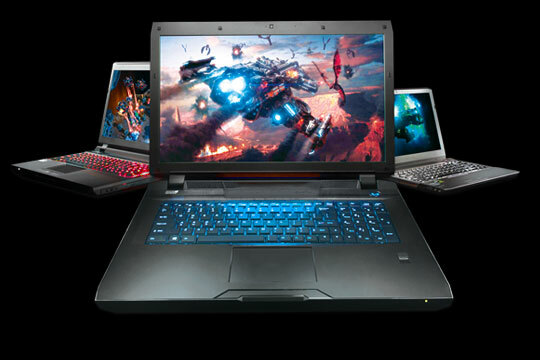 Due to the volatility in pricing for computer products, we do not match competitor's pricing and we will not offer price protection beyond the 24hours of purchase. Example: If Intel drops the price of a processor 5 days after your purchase, that is beyond our control and our cost for that same processor when we shipped is also much higher than our current selling price. We will not be able to refund the difference since we had to purchase the processor at a much higher cost to send it to you when you placed your order. Your receipt of an electronic or phone order confirmation does not signify our acceptance of your order. Digital Storm reserves the right at any time after receipt of your order to accept or decline your order for any reason. YOU AGREE THAT THE SOLE AND EXCLUSIVE MAXIMUM LIABILITY TO DIGITAL STORM. ARISING FROM ANY PRODUCT SOLD BY DIGITAL STORM SHALL BE THE PRICE OF THE PRODUCT ORDERED. IN NO EVENT SHALL DIGITAL STORM, ITS DIRECTORS, OFFICERS, SHAREHOLDERS, EMPLOYEES AND REPRESENTATIVES BE LIABLE FOR SPECIAL, INDIRECT, CONSEQUENTIAL, OR PUNITIVE DAMAGES RELATED TO PRODUCT SOLD. 1. DISCLAIMER AND LIMITATION OF LIABILITY AS TO THE digitalstorm.com WEBSITE. THE digitalstorm.com WEB SITE AND THE MATERIALS THEREIN ARE PROVIDED “AS IS”. DIGITAL STORM. MAKES NO REPRESENTATIONS OR WARRANTIES, EITHER EXPRESS OR IMPLIED, OF ANY KIND WITH RESPECT TO THE digitalstorm.com SITE, THEIR OPERATION, CONTENTS, INFORMATION, OR MATERIALS ON THE SITE. DIGITAL STORM EXPRESSLY DISCLAIMS ALL WARRANTIES, EXPRESS OR IMPLIED, OF ANY KIND WITH RESPECT TO THE SITE OR THEIR USE, INCLUDING BUT NOT LIMITED TO ANY IMPLIED WARRANTY OF MERCHANTABILITY AND FITNESS FOR A PARTICULAR PURPOSE. YOU AGREE THAT DIGITAL STORM, ITS DIRECTORS, OFFICERS, EMPLOYEES OR OTHER REPRESENTATIVES SHALL NOT BE LIABLE FOR DAMAGES ARISING FROM THE OPERATION, CONTENT OR USE OF THE DIGITAL STORM SITE. YOU AGREE THAT THIS LIMITATION OF LIABILITY IS COMPREHENSIVE AND APPLIES TO ALL DAMAGES OF ANY KIND, INCLUDING WITHOUT LIMITATION DIRECT, INDIRECT, COMPENSATORY, SPECIAL, INCIDENTAL, PUNITIVE AND CONSEQUENTIAL DAMAGES. DIGITAL STORM retains title to parts and complete systems purchased until the said purchaser pays for items in full at which time the title passes to purchaser. You agree that any legal action brought against Digital Storm shall be governed by the laws of the State of California without regard to its conflict of law principles. You agree that the sole jurisdiction and venue for any arbitration arising from your use of or orders and purchased made on the Digital Storm sites or from Digital Storm shall be in Alameda County, California. All actions between the parties related to purchases and sales from Digital Storm shall be resolved by binding AAA arbitration in Alameda County California. Refunds are only issued for the sale amount at current selling market value (see section “O”) of the component(s) inside the computer, and does not include freight charges. Your purchase is returned back to Digital Storm within 30 days of original delivery. There are defective hardware component(s) inside the computer such as a memory stick causing stability/performance issue. Digital Storm or a third-party computer company contracted by Digital Storm has verified that the stability/performance issues are in direct result of the hardware inside the computer and NOT the software such as the operating system, drivers, or software. Digital Storm cannot offer a full refund for the purchase price of the product(s) unless there were issues such as defective hardware component(s) inside the computer such as a memory stick causing stability/performance issues. The returned merchandise must include its original packaging, manuals, and all accessories. All sales on software items are final. Opened accessories such as the monitor and speakers will not be refunded. Digital Storm will not refund shipping costs and will not pay shipping for returning packages. ORIGINAL SALES RECEIPT REQUIRED FOR ALL RETURNS. THE 30 DAY MONEY BACK GUARANTEE IS ONLY HONORED IF THE COMPUTER SYSTEM IS RETURNED TO DIGITAL STORM WITHIN 30 DAYS FROM DATE OF ORIGINAL DELIVERY AND THE COMPUTER MUST HAVE DEFECTIVE HARDWARE. CUSTOMER IS RESPONSIBLE FOR ALL SHIPPING FEES FOR RETURNS. THE REFUND VALUE WILL BE THE FULL PURCHASE PRICE OF A NEW DIGITAL STORM COMPUTER AT CURRENT MARKET VALUE. Before making any return, back up all software and data and remove any personal information, confidential information or private content which you do not want viewed or used by any third party. Digital Storm is not liable for lost data or misuse of data on computers that are returned for any reason. Digital Storm warrants to the original purchaser that any hardware part of the computer system, excluding accessories (display monitor, keyboard, mouse, software, operating system, documentation and similar items) will be free of defects in workmanship and materials for the period the warranty included with the purchase from the date of delivery to Customer. During the warranty period, Digital Storm will repair or replace, at its sole discretion, the defective computer system, for defects specified by you, free of charge for labor and/or parts depending on your warranty period. Parts may not be the same but will be equivalent parts. Digital Storm will cover shipping costs back and forth and replace the part(s) within the first 60 days of receiving your computer system. After 60 days you will be held liable for shipping costs to Digital Storm and Digital Storm will cover return shipping back to you. The remedy for this breach of warranty is limited to replacement or repair with parts warranted for the the remainder of the warranty period. Any additional purchases or upgrades will not extend this warranty. Excluded from this warranty is any damage caused during shipment (except the shipment to the original purchaser) and any damage caused by: impacts, fluids, fire, flood, wind, earthquake, lightning or similar disaster; unauthorized modifications, attachments or peripherals, improper use, environment, installation or electrical supply; improper maintenance; any other misuse, abuse, or mishandling. Digital Storm's sole liability, under this warranty, for failure to repair or replace the hardware system after a reasonable number of attempts is limited to replacement or, at Digital Storm's sole discretion, refund of the original purchase price. The above constitutes purchaser's exclusive remedies for breach of warranty. Digital Storm shall, under no circumstances, be liable for any other damages, including but not limited to special, incidental, consequential and other similar claims whether based upon breach of contract, breach of warranty, negligence, or strict liability, or any other similar theories. Damages excluded include but are not limited to: loss of profit, loss of revenue, loss of data or software, loss of use of the hardware system, loss of use of related equipment, cost of substitute or replacement equipment, "down-time", purchaser’s time, injury to property, and all claims of third parties. EXCEPT AS EXPRESSLY STATED HEREIN, DIGITAL STORM MAKES NO REPRESENTATIONS OR WARRANTIES, EITHER EXPRESS OR IMPLIED, OF ANY KIND WITH RESPECT TO PRODUCTS SOLD BY DIGITAL STORM. EXCEPT AS EXPRESSLY STATED HEREIN, DIGITAL STORM. EXPRESSLY DISCLAIMS ALL WARRANTIES, EXPRESS OR IMPLIED, OF ANY KIND WITH RESPECT TO PRODUCTS SOLD ON THIS SITE, INCLUDING BUT NOT LIMITED TO, ANY IMPLIED WARRANTY OF MERCHANTABILITY AND FITNESS FOR A PARTICULAR PURPOSE. Depending on the term of the limited warranty, the coverage of labor and parts will vary. For additional details, please visit the warranty details page. Any product that Digital Storm ships out to Customer comes back to Digital Storm as refused delivery, Customer will subject to fees. A restock fee of 15% will be applied to computer system. Also, shipping fees sending the package to the Customer and receiving the package back from the Customer will not be refunded. Since every computer system is customized to the Customer’s needs, it becomes difficult to return computer systems for a full refund. 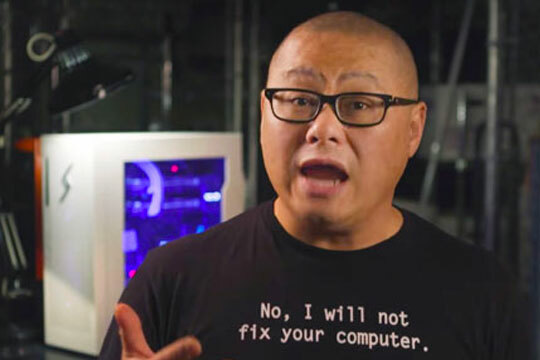 If you are having defective parts issues with the computer system, we will be more than happy to offer a full refund, minus shipping costs for the purchase price of the computer at its current market value. 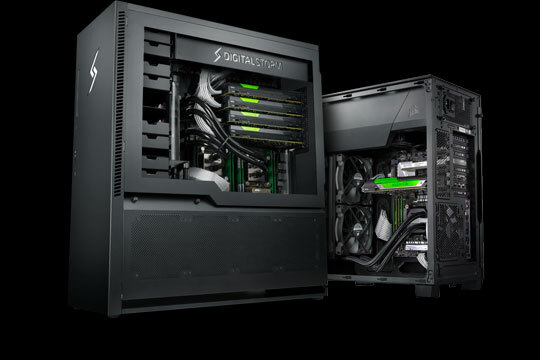 For example, if you purchased a system from Digital Storm at the price of $1,500.00 after a length of time, you are requesting a full refund (and you have a verified defective hardware component such as a memory stick, etc causing stability/performance issues within the first 30-days of original delivery) we will offer a full refund for the hardware at its current selling market value. 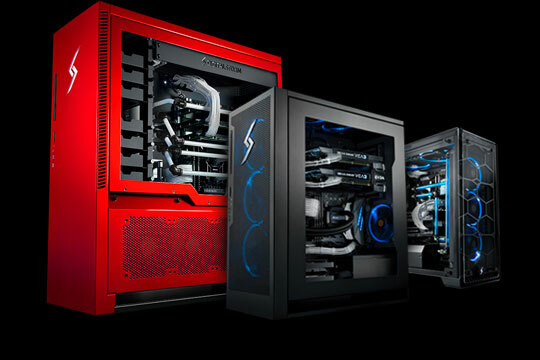 If the same system is now available for $1,200.00, Digital Storm will issue a refund of $1,200.00 which will allow you to still purchase a computer with the same configuration that you originally ordered at $1,500.00. This protects the customer and Digital Storm from price adjustments from manufacturers that are out of both Digital Storm and the customer’s control. In the end, the customer will still be able to buy a new computer with the same specifications from the original purchase. 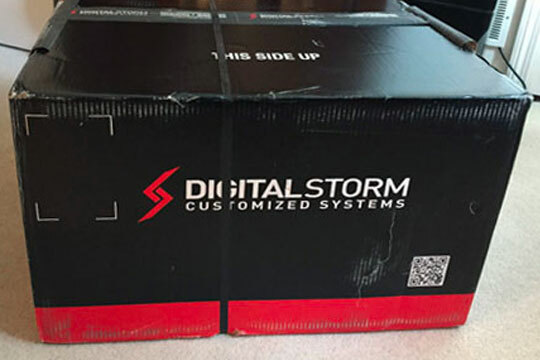 Customers are more than welcome to request Digital Storm to purchase components or accessories that we normally do not offer and stock for customers to purchase on our website. In the event of an order cancellation, such items cannot be returned to Digital Storm for a refund under any circumstances once they have been ordered, they will be returned back to the customer at the customer’s expense. In addition, if any special ordered components or accessories turn out to be defective during testing at Digital Storm or after the customer receives the end product, it will be the responsibility of the customer, not Digital Storm to obtain replacement warranty service directly from the manufacturer. The Terms and Conditions and Warranty also applies to Digital Storm products shipped to any location outside of the Continental United States, the customer is responsible for paying all freight charges incurred in shipping, importing/exporting, receiving replacement parts and for arranging and paying for the shipment of any defective part(s) back to Digital Storm. All international customers are responsible for all customs duties, VAT and other associated taxes and charges. Such import custom, duty, VAT and other taxes and charges are non-refundable once the order ships.